Turn heads like never before with these GP Thunder super white fog light bulbs for your Camaro. Are you looking to increase the ascetics of your Camaro at night? 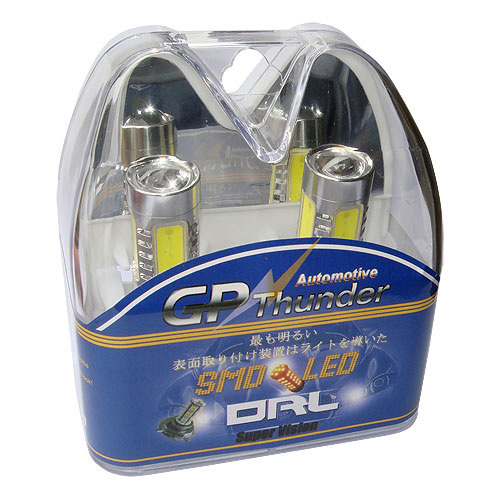 We have the solution with these GP Thunder Super White Fog Light Bulbs. These GP Thunder Fog Light bulbs are an exact replacement of your stock bulbs. These Bulbs are the best xenon white bulbs on the market. Quality is never an issue with this supreme quality light bulb. These are made of fused quartz glass in order they may produce maximum power with a smaller bulb. Turn heads like never before with these GP Thunder super white fog light bulbs for your Camaro.